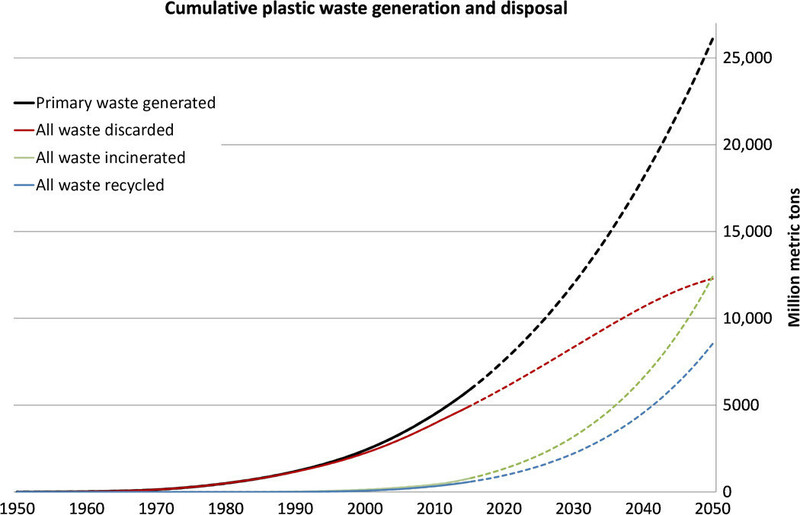 The fate of plastic matters since we’ve become so dependent on it and its many benefits. Even so, our plastic habit has created some well-known challenges, with some items taking as long as 1,000 years to break down. Fostering a circular economy - a key plank of the World Economic Forum’s work - is one way to address this issue, and could represent a $4.5 trillion global growth opportunity by 2030. While most policymakers support the idea of a circular economy - one that aims to minimise waste and make the most of resources - business leaders who backed a public-private initiative, supported by the World Economic Forum, expressed frustration at the slow pace and limited scope of progress. And that’s already having a knock-on effect elsewhere, since exporting has become a straightforward way for developed nations to deal with their plastic mountains. A WWF report estimated that in 2016 4% of global plastic waste was shipped abroad - around 13 million metric tons - and that G7 countries accounted for half of that. All that underscores how while exporting can offer a quick fix, long-term sustainable solutions - like cutting down on single-use plastics and improving recycling processes - offer the clearest path forward.